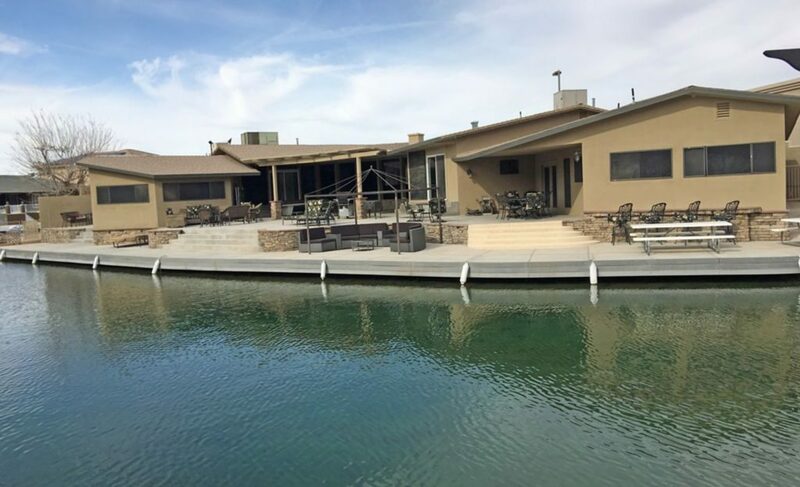 This Perfect 3500 sq ft home is located on a 160 ft waterfront corner lot on the center canal in the Moovalya Keys and the Colorado River – this is an Entertainer’s dream. 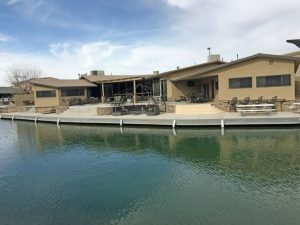 The master retreat is located away from all the action to enjoy your down time – it comes complete with an office area for the times you have to work at the river. All of the beds are Sealy Degas Eurotop beds- very cozy. The bed configuration is: Master – Cal King, Bedroom 2- 2 Queens, Bedroom 3 -2 Queens and Bedroom 4 – 1 Queen and 1 set of twin bunk beds. There is a modern granite kitchen with stainless steel tiles back splash – easy access to the huge covered patio area. There is a formal dining room it is available as well with an overlooking the view of the canal and the grand living room area. The huge Game Room is the place to be in this house with TV and Bar area. Lots of parking at this home- parking for 4 cars. No Garage access. Enjoy your outdoor living with the different levels of outdoor rooms – a huge 43 x 40 covered patio area right off the kitchen dining room area with BBQ, a covered 12 x 19 patio off the Game Room and ice chest or just steps below a 16 x 10 waterfront/river level area complete with a covered lounging area including a 10ft circular sofa. 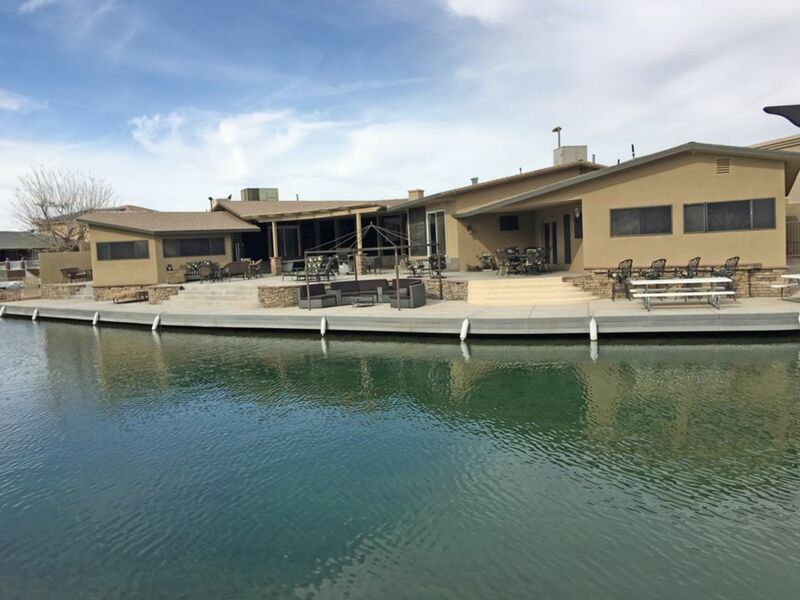 Plenty of dock space for all of your toys – on one side of the lot is jet ski parking and the other is the boat parking. On the Patio there is a ping pong table and an outdoor pool table. Keywords: Home, River House, Parker Strip Rental, Keys House Rental, House, Parker, The Keys, Moovalya Keys, canals, Parker Strip, Bluewater Casino, Roadrunner, Desert Bar, Fox’s, Bluewater, Casino, wakeboard, waterski, waterfront, private dock, Colorado river, lake havasu, London bridge, parker dam, 4 bedroom, gated, patio, boat slip, dock, swimming, bbq, best house on the river, river front, big house, family, home with docking, kid friendly, waverunners, wakeboarding, Sky Ski, Tubing, Paddle Board, vacation home.